Spring is a fabulous time to go on a party boat in California. It’s an excellent way for you and your family to recover from the winter blues. During the spring season, the ports often won’t be swarming with people. Therefore, you can always appreciate a quiet yet marvelous experience in the waters. By embarking on a yacht charter in California, you can raise your spirits with water and sunlight. You can happily say that cocooning and feeling lethargic through the cold winter is officially over. You’re ready to set sail and party! 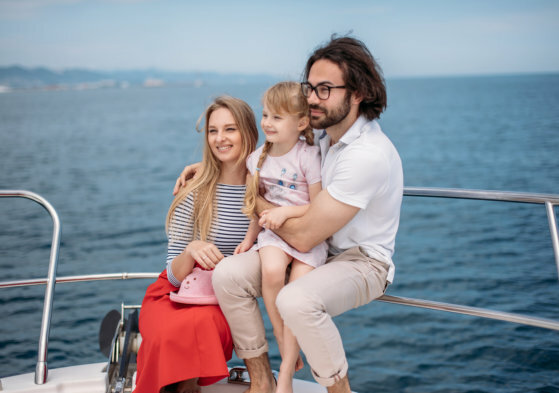 When you choose to get a boat rental in Marina del Rey California, getting family members together under one boat is a terrific opportunity to bond again, experience something new, and create memories. There’s nothing like being out on the water with some sun on your face, loved ones, and plenty of delicious food and beverages. To have a memorable boat party, it’s essential that you plan it first. Come up with a theme where each of your family members can participate. Of course, always have your cameras ready as well as activities like games. If you or any members of the family can play the guitar, it’ll be fun to play music and sing along. Otherwise, you can prepare a great playlist that you know that you and your family will like. If you and your family members are the athletic type, you can plan some swimming or water diving games. You can also organize a fishing competition. Of course, don’t forget to bring prizes with you. They don’t have to be fancy, but it’s always fulfilling to receive something. Tiki Mermaid is an ideal venue that offers everything for a family’s Spring vacation. If you want to take your family out in the waters and say goodbye to winter blues, then give us a call today, and we’ll ready your boat to set sail! This entry was posted in Party Boat and tagged Family Getaway, Memorable Party, Spring Vacation. Bookmark the permalink.